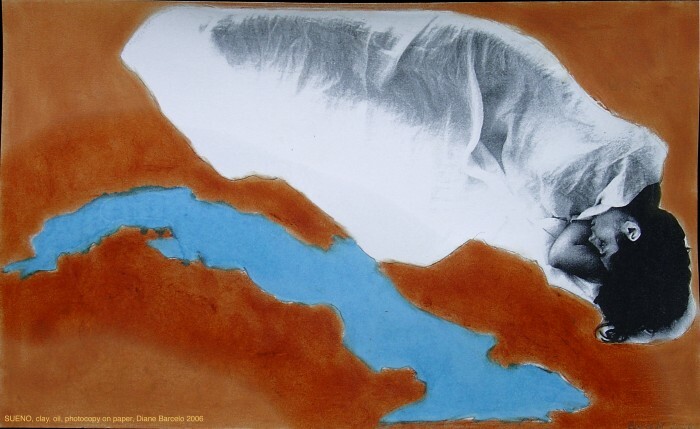 The driving force in my work is to bring the physical and sensorial experience of the world into focus. 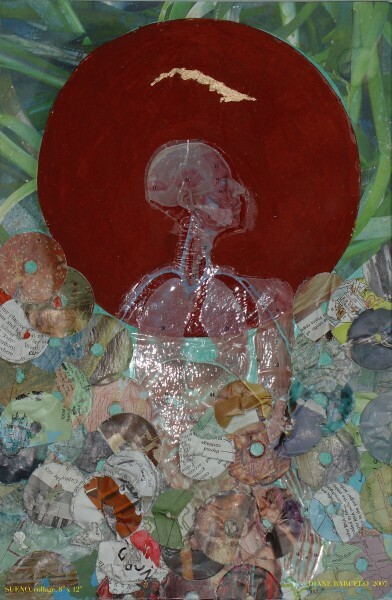 Layering images with textures, materials and words, I seek to marry the conscious realm of ideas with the innate intelligence of the skin. 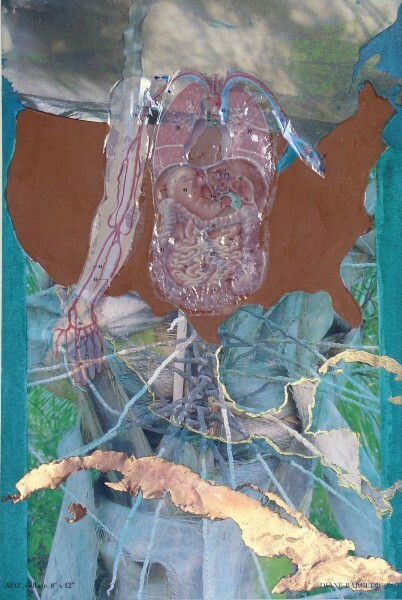 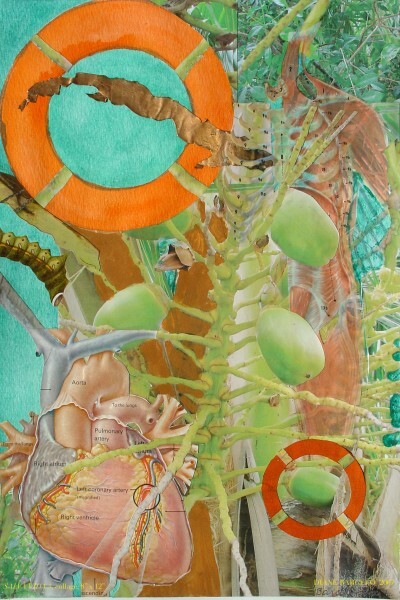 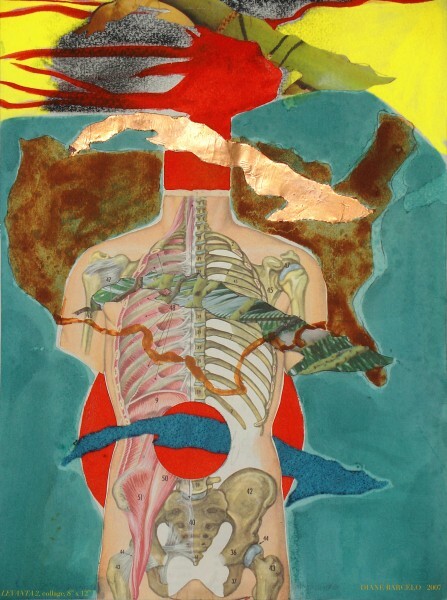 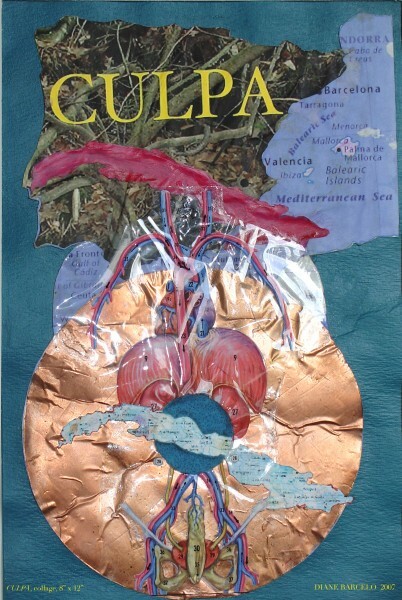 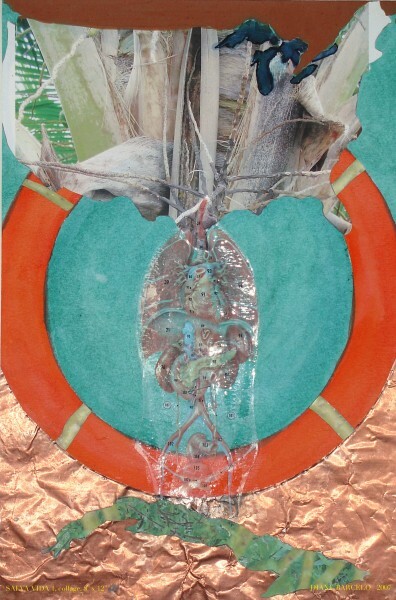 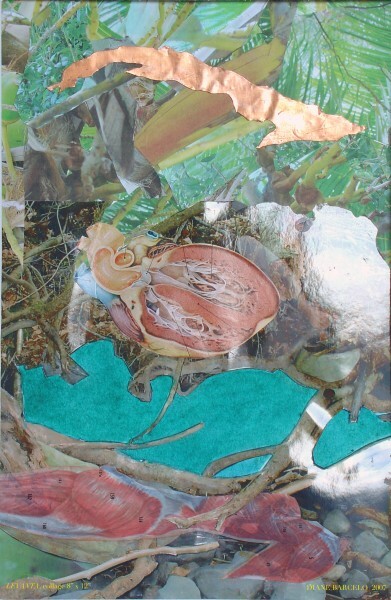 Working with anatomical transparencies, maps, photo fragments, copper and clay, these collages explore the dreamlike territory of memory and nostalgic longing recalled in my father’s reminiscences of Cuba. 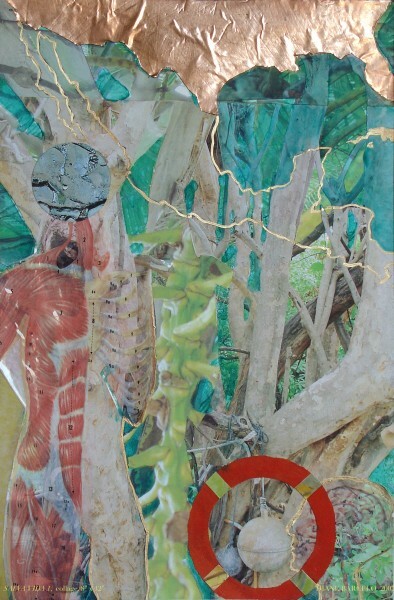 Here I search to reconcile, the body and the land, language and identity, the personal and the political.